Craig is a skilled business lawyer who resolves disputes responsively and cost-effectively. His focus is on franchise and infrastructure transactions, development and disputes, both domestic and international. Clients hire him to provide creative solutions to “bet the company” litigation and defining transactions. 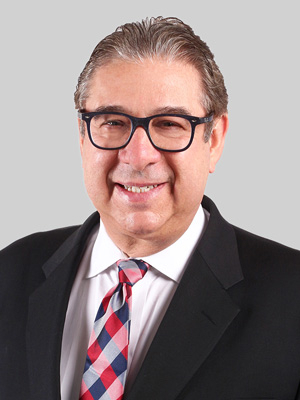 As counsel to emerging franchisors, he has counseled and acted as outside general counsel to many start-up franchisors, some of which have grown into multinational systems. Litigated RICO, fraud, securities, preference and fraudulent conveyance cases. Counsel to promoters of investment fund for midsize private placement, purchase of an iconic restaurant and brand and positioned the fund for restaurant expansion and franchising. Counseled and enforced franchise agreements for domestic and international brands for the Fortune 50. Counseled and defended against class actions and counterclaims. Negotiate and mediate with franchisee attorneys. Represent groups of franchisees in two cases to acquire their franchisor, including one hostile takeover. Resolve valuation and shareholder disagreements for exit strategies or family office planning. Successfully represented the Republic of Turkey before the ICC (Geneva) and ICSID (Paris) on power plant and real estate development and infrastructure projects. Represented a contractor to the Panama Canal Authority before the ICC (Miami) and the English High Court. Represented sponsor of private equity investment in two hydroelectric plants in South America. Represented the licensor of robotic technology before ICDR (NYC) and in the enforcement of award in Brazil. Provided bankruptcy advice for U.K.-based law firm acquiring German offices of a U.S.-based law firm. Defended manufacturer against scaffold collapse. Defended successor liability in toxic tort cases. School of Rock v. Smith (3d. Cir.) - Represented School of Rock in affirming arbitration award appeal for franchise breach and trade secret violations, awarding damages, injunctive relief and counsel fees. School of Rock v. Rock Nation LLC (Cal. Super. Ct.) - Represented School of Rock in confirming arbitration award granting injunctive relief, damages, and counsel fees for unfair competition and cybersquatting. Keepers of Eden v. Historical Media (S.D.N.Y.) - Represented the plaintiff in confirming arbitration award with counsel fees in motion picture distribution dispute. Philips Services Corp. v. Luntz (D. Del.) - Represented Luntz in successful defense of preference action and asserted $1 billion fraudulent conveyance defense. Lakes Gas Co v. Fencl Oil & L.P. Co., Inc., et al. (N.D.Iowa) - Secured a unanimous $2.7 million jury verdict in contract action involving propane distribution on behalf of Lakes Gas Company. For more than a decade, Craig has been a monthly contributor to the Legal Intelligencer, a ALM publication, a contributor to the New York Law Journal, and has taught as an adjunct professor at Temple University School of Law. He has written chapters in books on bankruptcy, covenants not to compete and franchise agreements published by the American Bar Association. He also is a frequent speaker and presenter. His recent writings are listed under the Publications section of his bio. Craig’s webinars and other presentations can be found in the Events section. Prior to joining Fox, Craig was a partner and team leader in the franchise practice and global litigation teams at an international law firm.